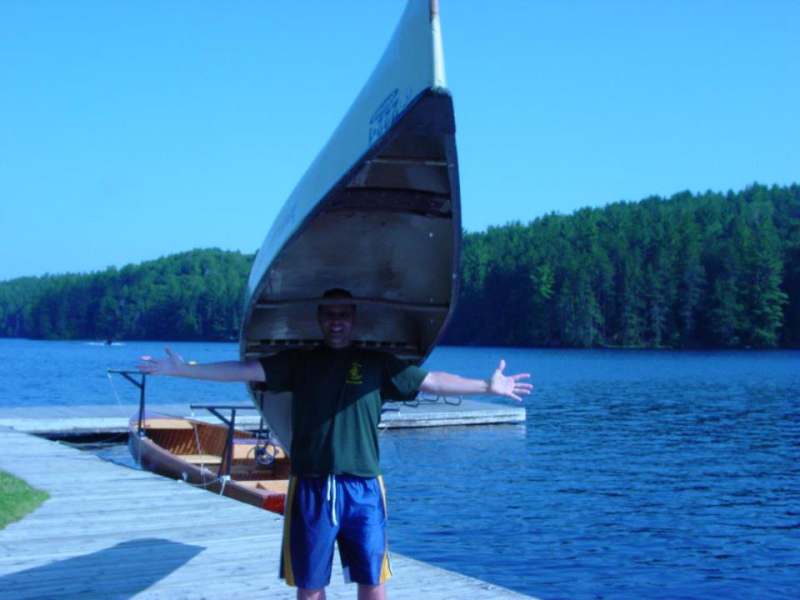 My 2010 highlight was a one week canoe trip in Algonquin Provincial Park. This park offers pristine canoe passages through the backcountry of South-Central Ontario. I led a group of boy scouts on their summer High Adventure experience in order to apply their newfound skills in 'stay afloat' and 'leave no trace." While paddling around a bend, we came within 20 meters of a moose grazing in the water! All scouts locked eyes on the moose and no one dared to make the next move. The stare down seemed to last an eternity, and resulted in the moose bounding up the river bank and out of sight! During a paddle through open waters on white-capped waves and with headstrong winds, a couple of our canoes capsized. After rescuing all parties and equipment, we landed on the nearest island that was uninhabited and covered with berries. It was a great spot to rest, recuperate and feast on wild blueberries. Navigating beaver dams, meandering through calm channels of water, respecting wildlife, and paddling through heavy winds provided a varied and challenging experience of a lifetime! Our chosen canoe passage through Algonquin included a 5 kilometer portage! Carrying a canoe on your back is unnatural but completing the portage was a victory worth celebrating and one captured in the picture above!